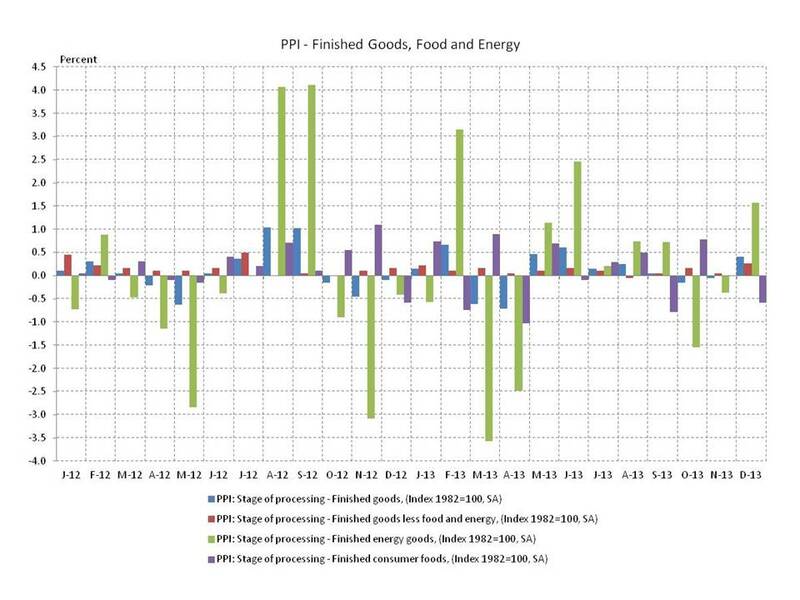 The Bureau of Labor Statistics (BLS) released the Producer Price Indexes (PPI) for August. 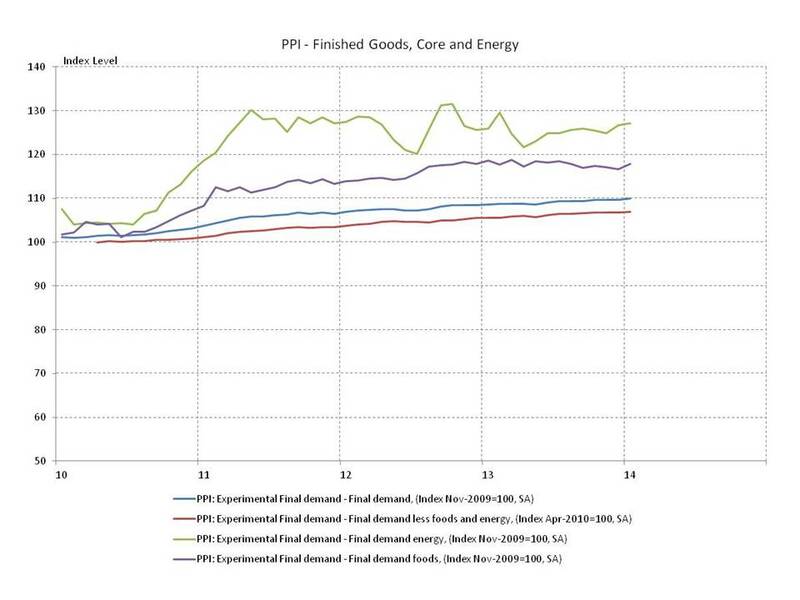 Producer prices for finished goods rose 0.3% in August driven by increases in food (0.6%) and energy (0.8%) prices. 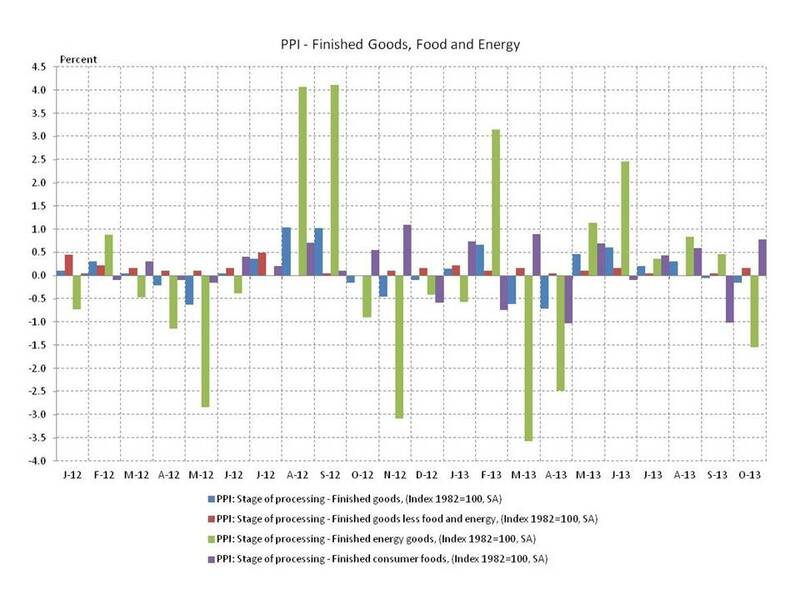 Excluding food and energy, the core index was flat. The PPI for softwood lumber rose 2.6% from July to August after declining 2.3% from June to July. Strong demand from China helped the rebound. Offshore markets have gained favor as recent price declines have triggered the return of the export tax on Canadian shipments to the US. 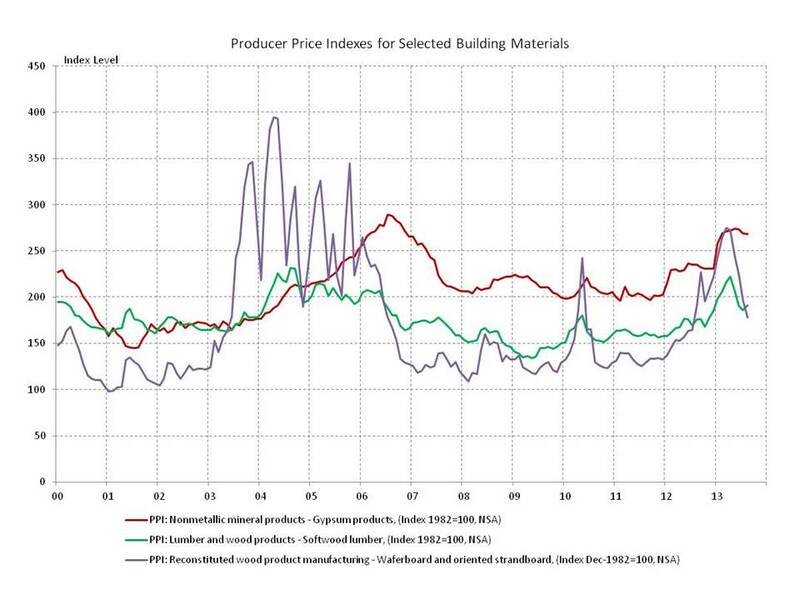 OSB prices declined 9.5% in August, bringing them to their lowest level since the run-up that began in early 2012, but leaving them still 34.6% higher than that low point. 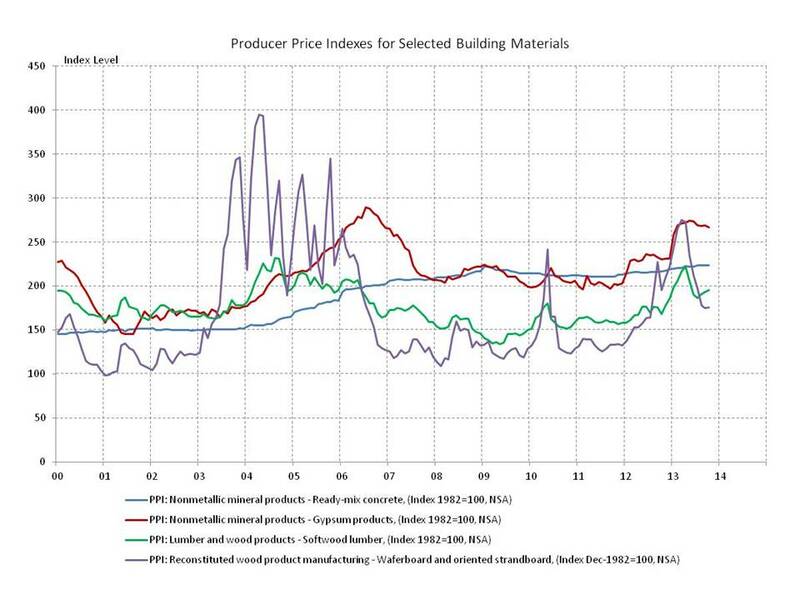 Gypsum prices declined slightly in July and August, a two month decline of 1.8%, but the prospect of price relief was short-lived. 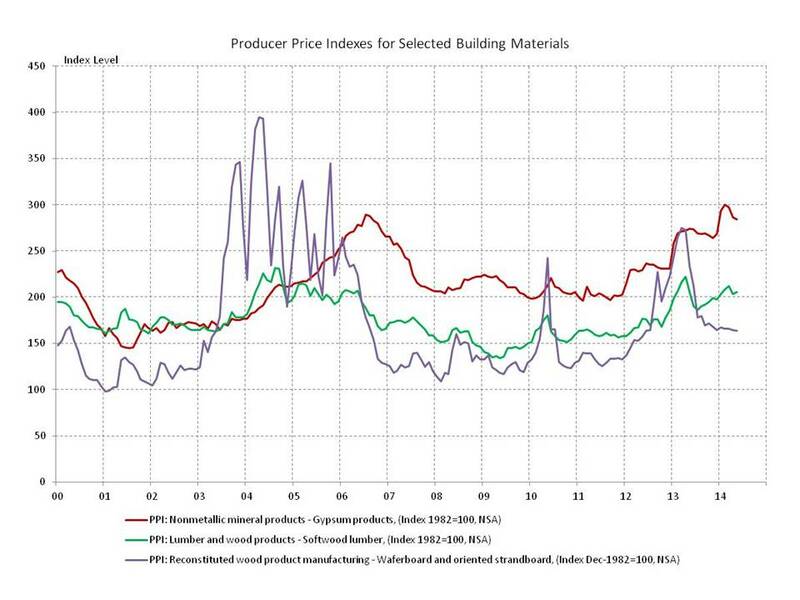 Prices are currently at 92.6% of their peak housing boom levels and at least one major producer, National Gypsum, has announced a 20% price hike effective with 2014 shipments. This price increase is eerily similar to the hikes in early 2012 and 2013.